There are many reasons people make videos these days. Some people make videos because they aspire to be the next Stephen Spielberg. Others may be trying to do marketing for their business or non-profit group that they work with. However, most people who make their own videos are just like you and me. They are the ones who make videos for fun. They just want to video tape something fun, do minimal editing and post on YouTube or their own Facebook page. Regardless of the reason you have for creating videos, it’s important to know that including music for videos is an essential step, regardless of the purpose of your video. In most cases, ambient music is the best option for music for videos. This is because the video likely has a story of some kind to tell and any music that includes words is more likely to distract your views from the message. You need music that will help set a tone to compliment or enhance the video, but not overpower it. The first thing you need to determine when looking for music for videos is what role your music should be playing. That will help point you toward making the right selection of music. For example, if you are explaining or talking about something that is technical or detailed in nature, your music should definitely be in the background so it doesn’t pull attention away from what you’re saying. The music should be focused on setting a relaxed, easy listening tone and making the experience more pleasurable for the viewer. However, if you want the music to help set a more dramatic tone or appeal to the emotion of the viewers, that is a very different kind of music. Emotional music is also a better choice when you are talking about concepts that are more broad. Another option when finding music for videos is to use the music as bookends. This music should work as an intro into your video and playing the same music at the end will provide the viewer with a sense of closure. Again, this type of music should serve to set the tone. If you want the viewers to be excited about what you’re saying, it should be up-tempo. If you want them to feel something, it should be emotional. If you want them to be amused and laugh, use something a little bit wacky. Another item to consider when picking music for videos is to know your audience. If you are just trying to make a fun video for your friends, pick something inspired by a movie you all liked. If you are making a bigger video with a broader target demographic, pick something that that particular group of people is likely to enjoy. 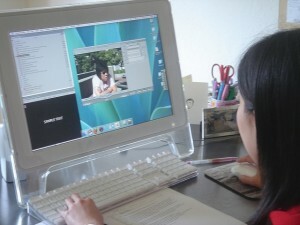 You should also consider customizing your music to make it even more specific when you’re working on music for videos. This might include adding bells and whistles to key points in your video, or something else that appropriately highlights a section of our video.